At Hard Fork, we want to know what piques investors‘ interest, what drives them to back certain companies, what they’re uninspired by, and why.With this in mind, we reached out to notable figures to find out what’s driving investment in the space. Xu believes those interested in Bitcoin‘s underlying blockchain technology before the asset price took off fall into three categories. First, the tech enthusiasts who were interested in the code element. Then, those in finance who figured out they could trade Bitcoin and potentially make money. Finally, the libertarians who saw the potential of censorship-resistance, decentralization, and a free market for money.Initially, Xu fell into the latter camp, but fast forward seven years and his vision for blockchain technology has altered significantly. Xu wants to find viable blockchain solutions which could help the technology achieve mainstream adoption. He’s trying to avoid companies that use blockchain for the sake of it, or because it’s a buzzword that’s likely to entice investors. “We look for companies or projects building something with the core value that comes from a set of functions native to [decentralized ledger technology] (DLT), and cannot be attained in the absence of DLT.”“Right now, only a small handful of projects fits this criterion, but cryptocurrency functionality is improving and expanding all the time,” he added. Jamie Burke came across Bitcoin entirely by chance.He became so enamored with the technology that he set up Outlier Ventures – credited with being Europe’s first dedicated blockchain VC and venture platform – in 2014. At the time, Bitcoin hovered around the $300-$400 mark and there seemed to be little, or no, interest outside of the academic and developer community.But things changed quickly. A year later, in the Summer of 2015, Ethereum – the brainchild of Vitalik Buterin, Gavin Wood, and Joseph Lubin – burst on the scene. It will be then that blockchain will serve as a viable solution to store the increasing abundance of data required to power advancements in these fields.“We definitely don’t look at blockchain and cryptocurrency in isolation,” he explained. Burke is not the only investor to think that blockchain technology’s success – and therefore its potential viability as an investment – will rely on its convergence with other technologies.Sherman Lee, a partner at early stage accelerator program Zeroth AI, agrees.Lee discovered Bitcoin in 2014. Three years later he began to look at blockchain technology as a solution to a problem he’d encountered with AI training. A year later, everything changed. The bear market of 2018 brought everyone back to reality. Token prices crashed, leading to projects and companies running out of cash, with many ceasing operations completely.“Many thought cryptocurrency was dead, but not me. As an engineer, I saw real technology being built by incredibly talented people. All the scammers and speculators have mostly disappeared. All the noise is gone. We now have left only the strongest teams. These are the ones that will survive,” he said.Lee wants founders who are “super close” to the problem they’re solving and understand that to be a sustainable blockchain company, you have to have a path to revenue. “When I started looking at cryptocurrencies in 2015, the core premise was focused on digital currencies – Bitcoin being the most famous. But over time I think the more interesting applications (in the immediate future) are using distributed ledger technology in more practical situations, particularly around data. ”As a fund, Oxford Capital wants to back companies at the point where products first hit the market – and blockchain is no different.“Recently I’ve been focusing on use-cases revolving around the creation, sharing and management of data in multi-party situations. You can find situations like this in many sectors, from insurance to personal identity.”Importantly, though, Orde is quick to point out that, like many others in the market, he’s not interested in blockchain companies looking for a problem to solve.He wants “someone with a clear vision for what they’re building, a balanced skill set, and an ability to get stuff done”. Alicia Garabedian also discovered Bitcoin in 2015 when she was working at Morgan Stanley.Real exposure to the blockchain ecosystem, though, came in 2017 when she joined Samsung Next, where she’s an investor. “As I learned more, I became captivated by the speed of industry, the growth of the ecosystem and intrigued by the influx of ambitious entrepreneurs,” she shared with Hard Fork.Today, Garabedian is looking for real applications, actual enterprise implementation, and consumer adoption. 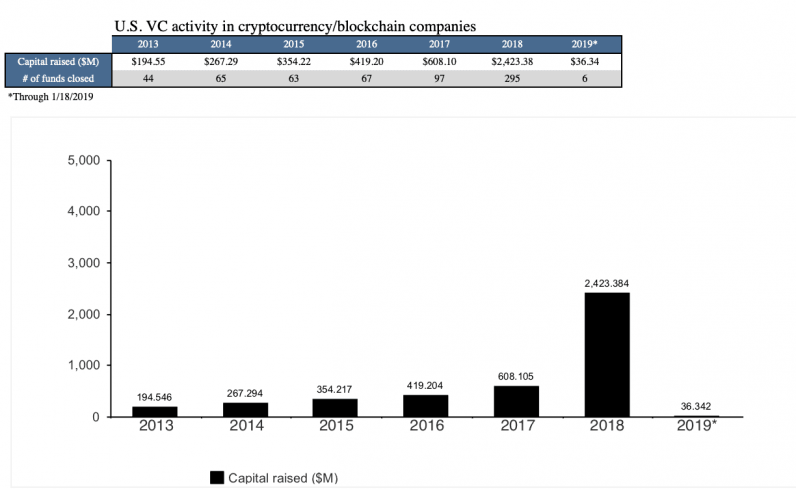 But, will investment in cryptocurrency and blockchain startups continue to rise or stagnate? Well, it’s highly likely the number companies that raise considerable amounts via ICOs will stagnate, and those building a solution without a problem will struggle (or even cease to) exist.It seems that, somewhat predictably, the future looks bright for blockchain businesses which fundraise reasonably with a clear path to monetization. A clear value proposition and a solid market strategy are also a must. This is what’s really attracting investors and that’s unlikely to change. 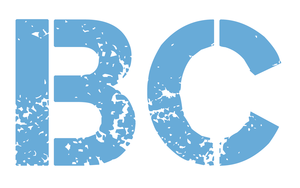 Francisco Gimeno - BC Analyst This is one of the most clear articles we have read related to the status of the ICOs in 2019. Different opinions but all understand that the blockchain Wild West is not needed anymore, and only serious projects with serious value proposition, strategy and team will get funds from investors. This is the beginning of a new stage for all things blockchain.